“Virtual IT Gives You All the Benefits, None of the Burdens.” This is what the home page of their website states. “All the Benefits, None of the Burdens is our reason for being” says Peter Loosley, CEO of Virtual IT Managed Services, a virtual cloud-based Microsoft solutions provider that believes improving productivity and cutting expenses should not come at the cost of customer satisfaction. The fact that all the facets of the company are virtual in nature has enabled them to deliver unparalleled IT services— ensuring that clients become efficient and effective, and exploit the worth of its cloud-based IT solutions. The level of acumen that has been provided by Peter Loosley, regarding the IT processes and procedures that are undertaken by clients, has aided the generation of a more effective outcome to companies that employ the usage of their key solutions such as Microsoft, SkyKick and Veeam. Taking advantage of cloud services, Virtual IT Managed Services has particularly focused on offering cloud-based IT solutions to companies across the world based on their virtual mode of operation. 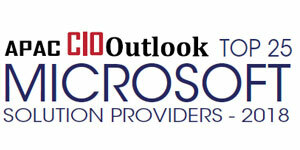 Speaking of the present business environment, Peter Loosley argues, “Organizations crave for the adoption of the cloud-based IT infrastructure; however, they do not understand the process that they can employ to optimize the vast virtual transformative capacity of this area.” To successfully maximize on the potential of the cloud-based infrastructure, Virtual IT Managed Services, have incorporated numerous Microsoft solutions to their products. The company has mastered the art of integrating various applications such as Windows Server 2012 R2, Skype for Business, Office 365, SCCM, and Azure ADFS. “We were significantly behind the times in our understanding of this space and had no structure or plan to begin this journey. Virtual IT Managed Services helped us to understand the types of technologies available in this space and helped implement a number of our initial Azure servers to improve resilience of various business functions,” states Scott Carter – FK Gardner & Sons. Virtual IT Managed Services works rigorously with their clients who use Office 365 cloud services to ensure that data is securely backed up. Peter commented, “What I find interesting is that a lot of people are not aware that Office 365, even though it is a cloud service with ‘multiple redundancies’ in place for FAILURE, has no backup solution. 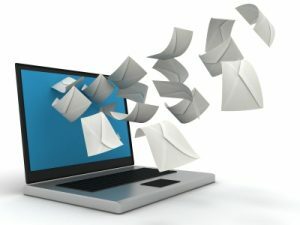 If you delete, corrupt, or lose data, there is no rollback.” Particularly, clients will benefit from the SkyKick pricing model, which is a fixed price per mailbox that provides up to 6 daily backups, infinite storage retention and no data cap, which is very important for long-term usage of cloud-based services. Lastly, the SkyKick solution does not need installation, uses Azure, and possesses the potential to have a self-service capacity. “SkyKick has enabled us to have current backups for our email accounts for employees. This is important as part of our business continuity plan. SkyKick is easily scalable to the number of employees (current or former) in the business,” states Keith Talty – HRL Technology Group. As a Veeam Silver Cloud and Service Provider, Virtual IT Managed Services delivers Backup as a Service (BaaS) with full control, visibility, and compliance. In order to support client’s physical and virtual server fleets, they have utilized Azure storage services with Veeam Cloud Connect and Veeam Backup and Replication. Off-site cloud backups provide the highest level of data protection and redundancy, and businesses are becoming aware that they can also be far more affordable than on-premise backups. Peter intimates that the company is now launching a Cloud Connect solution in both Australia and South Africa. As the founder and CEO, Peter Loosley has announced plans to roll out a packaging solution known as Online Application Packaging Services, which is automated and fairly priced. He also informs, they now offer web-hosting services in Australia in conjunction with its web design services at affordable rates.